MainAll NewsJewish WorldWatch: Will the Holy Temple descend from heaven? Temple Institute continues in Episode 2 of series to challenge commonly-held beliefs about Holy Temple. For the last three decades the Temple Institute in Jerusalem has focused on research and preparation for the Third Holy Temple. Now a newly released video series entitled “Holy Temple Myth Busters” will share some of its most complex research in easy to understand episodes that destroy ancient myths and pre-conceived notions pertaining to the religious requirements to re-build the Third Holy Temple. The current episode deals with the commonly-held belief that the Temple will miraculously descend from heaven, somehow alleviating the Jewish people of their Biblical requirement to build it. Rabbi Chaim Richman, a co-founder of the organization and its International Director takes viewers on a seven-minute visual journey through the ages that blows this myth out of the water with tens of religious sources and historical precedents. The notion that the re-building of the Holy Temple is the sole responsibility of the Jewish people is the bedrock on which the Temple Institute was established, however these arguments have never been presented to the masses so eruditely in English and will likely be seen as controversial, making waves within the Orthodox Jewish world. 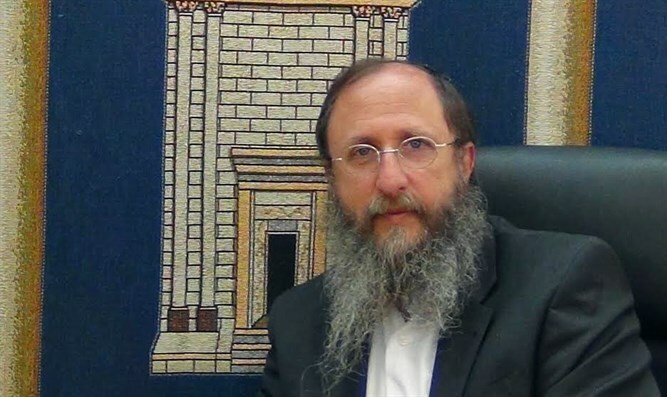 Rabbi Chaim Richman, International Director of the Temple Institute commented: “The Holy Temple has become one of the most overly-mystified concepts within Judaism. While Torah scholars and yeshiva students diligently strive to understand every minutia of Torah knowledge, they seem to have relegated the Holy Temple to the world of the paranormal. Many prefer to ignore the subject entirely, despite the fact that fully one third of the Torah pertains to the Holy Temple, and clear instructions for its preparation and building are written in black and white."